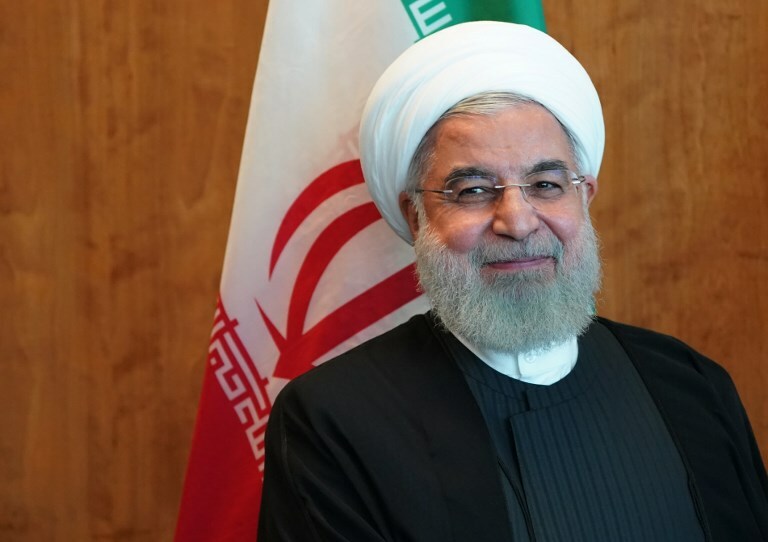 UNITED NATIONS — Iranian President Hassan Rouhani said Wednesday that Iran would stay in Syria for as long as the Assad regime wanted it there, but said Tehran was not seeking conflict with the United States in the Middle East. Attending the UN General Assembly, Rouhani defended Iran’s military support for the regime of Syrian President Bashar Assad, claiming Iranian help was needed as a bulwark to defeat the Islamic State terror group. “Our presence in Syria will continue for such time that the Syrian government requests our presence,” Rouhani told a news conference. Israel has repeatedly warned that it will not tolerate an Iranian military presence in Syria and has repeatedly struck Iranian bases in air strikes, seeking to prevent the transfer of advanced weapons to the Lebanese terror group Hezbollah. Israel has also extensively lobbied Washington and Moscow, another key ally off Syria and Iran, to ensure Iranian forces and Iranian-backed militias are kept as far away from the Israeli border as possible. But Rouhani directed his comments toward the US, which has not yet directly confronted Iran in Syria, but has withdrawn from a nuclear deal with Iran, slapped back sanctions and vowed to roll back the Shiite power’s role in the region including in Syria, Yemen and Iraq. “We do not wish to go to war with American forces anywhere in the region. We do not wish to attack them; we do not wish to increase tensions. “But we ask the United States to adhere to laws and to respect national sovereignty of nations,” he said. The Trump administration enjoys close relations with Iran’s regional rivals Saudi Arabia and Israel and has warned Tehran that it is closely watching its actions. US Secretary of State Mike Pompeo, addressing a pressure group on Tuesday, vowed to act “swiftly and decisively” to any Iranian action that damages US interests in the region. Earlier Rouhani predicted that that the United States would eventually rejoin the international nuclear deal that it backed out of earlier this year, saying talks this week at the United Nations showed his counterpart Donald Trump’s isolation. “The United States of America one day, sooner or later, will come back. This cannot be continued,” Rouhani told a news conference. “We are not isolated; America is isolated,” he said. Rouhani pointed to a session of the Security Council chaired by Trump earlier Wednesday, where the leaders of Britain and France backed the nuclear deal, as well as a statement by European powers that say they will find ways to continue business with Iran and evade impending sanctions. “We do hope with all the law-abiding and multilateral-oriented countries that we can ultimately put this behind us in an easier fashion than it was earlier anticipated,” Rouhani said. The elected Iranian leader said that his government would stay in the 2015 agreement, under which Tehran scaled back its nuclear program in return for sanctions relief. Rouhani downplayed the sharp words from the US administration, including a warning Tuesday by Trump’s national security adviser, John Bolton, that Iran would have “hell to pay” if it crosses the US. Rouhani on Tuesday said Israel was the greatest threat to world peace, and responded to a fiery speech by Trump by claiming the United States was plotting to overthrow Tehran’s regime. “The innumerable crimes of Israel against the Palestinians would not have been possible without the political and military assistance” of the US, Rouhani charged in a speech to the United Nations General Assembly. 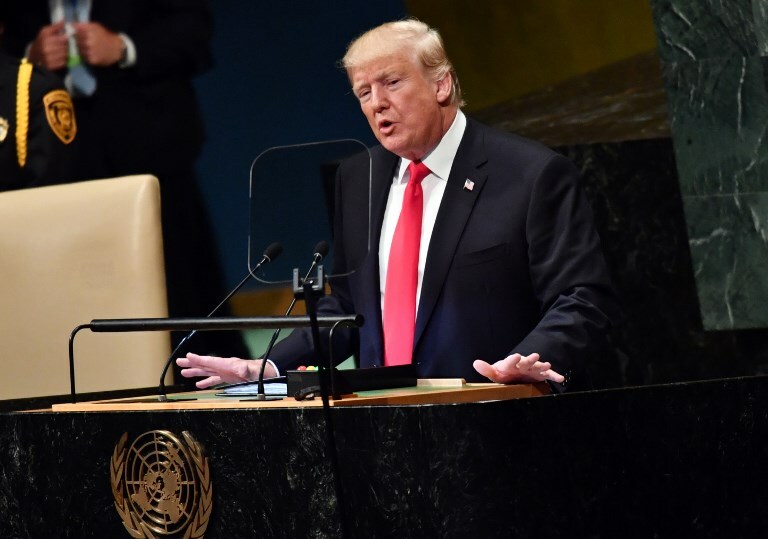 Trump had earlier in the day urged the international community to isolate Iran, accusing the Tehran regime of sowing “chaos, death, and destruction,” ahead of the administration’s plans to reimpose harsh sanctions against the Islamic Republic on November 5. “We ask all nations to isolate Iran’s regime as long as its aggression continues and we ask all nations to support Iran’s people as they struggle to reclaim their religious and righteous destiny,” he said. Trump withdrew in May from the nuclear deal, which was forged under his predecessor, Barack Obama, in 2015. The administration scolded the deal for its sunset clauses that allow certain restrictions on Iran’s nuclear program to expire, its failure to prevent Iranian ballistic missile testing, and the degree of access it provides for inspectors into Iran’s military sites. Trump’s pullout from the deal was met with intense criticism from world leaders, especially those of the other countries — Britain, France, Germany, China, and Russia — that brokered the accord. He went on to charge that the US was plotting regime change in Iran. “It is ironic that the US government doesn’t even conceal its plan for overthrowing the same government it invites to talks,” he said. This entry was posted on September 27, 2018 at 7:30 AM and is filed under Uncategorized. You can subscribe via RSS 2.0 feed to this post's comments. You can skip to the end and leave a response. Pinging is currently not allowed.